For Emile Heskey, Eniola Aluko is a brave footballer. What the 30-year-old England and Chelsea Ladies player faced from the former Lionesses coach Mark Sampson was something that Heskey and his teammates had accepted to be the norm during his playing days. "Some of the stuff that happened to her has happened to many of us but it happened in a time where it was accepted and it was kinda allowed to be said. And we just go on with it," said Heskey in an exclusive interview with Firstpost. 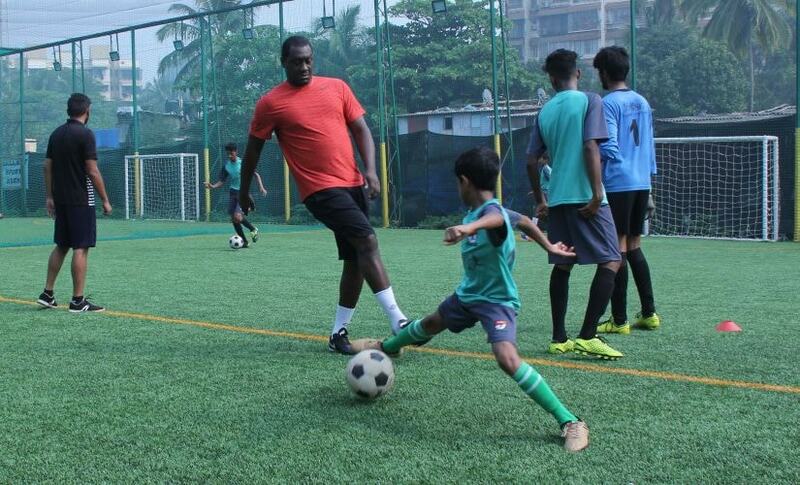 Emile Heskey takes part in a coaching session with local kids in Mumbai. "The thing with Eni Aluko is that I feel sorry for her because she was kinda like pushed away," Heskey said making a gesture with his hands like he's distancing something from him. "And we distanced ourselves from her as well. 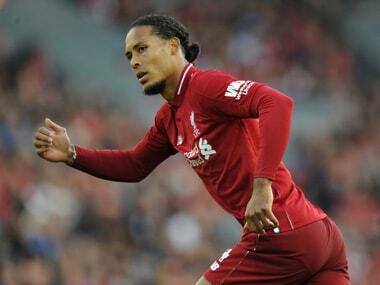 None of us even stepped in there and said anything," added the retired England and Liverpool star. Aluko, also a lawyer, had accused the then England Women’s team coach Mark Sampson of racism and fostering a “culture of bullying and harassment.” The FA cleared Sampson of any wrongdoing following an independent investigation but Aluko was vindicated in the end after a UK parliamentary inquiry committee found Aluko's allegations to be true. "The reason why none of us stepped in, is because we couldn't feel that we could say anything because we were never allowed to say anything when we were playing. She was powerful enough and strong enough to say 'I'm gonna stand up for myself and I'm gonna say XYZ because I believe it.'" Aluko waged a lone battle with a majority of her England teammates backing Sampson. She was also criticised by Heskey’s former England teammate David James. In a now-deleted tweet, James called Aluko a ‘wasted talent’ who couldn’t cope with being dropped from the side. British football has had a troubled history with racism over the years. Black players were subject to constant racial abuse from fans in the 1980s and 1990s. Paul Cannoville, Chelsea's first black footballer, was racially abused by his own fans during his time at the club. Players like John Barnes, Garth Crooks and Stan Collymore were subject to constant racial chants from opposition fans. "It (institutionalised racism) needs to be addressed. At the end of the day, if you look at the actual hierarchy in the game and the FA, it doesn't reflect what you see in the stands and on the pitch at all." Heskey believes that for the FA to deal with the issues of institutionalised racism, just an internal review won't do. "You need someone from the outside looking in because they'll look at things differently than someone like I would because I've been in this and experienced it." A year after retiring from football, Heskey has plans to get into coaching at some point in the future. During his solitary season at Bolton Wanderers, Heskey was part of the coaching staff for the U-21 team. These days, he trains with and coaches local non-league side Egerton FC. The aim though is to manage a top-flight club. "I've got the first part of my coaching license and am working on the second. The thing is, I can't just say 'yeah I'm gonna be the next big star' cause it just doesn't work like that." 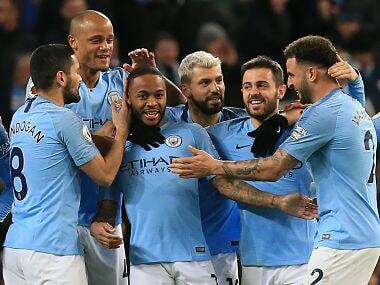 While the FA and the clubs have taken measures to curb racism in the stands, they have been accused of not doing enough to include BAME (black, Asian and minority ethnic) people in the hierarchy. In 2015, Sports People's Think Tank report stated that only 23 out of 552 elite coaching roles were held by BAME people despite 25% of players being from BAME backgrounds. "It's hard to say there aren't barriers for black coaches in the system. There are a lot of black coaches who have their badges and qualifications. But then, they tell you to get some experience. How do you get experience if you are not given chances? We've played football for some top teams so you would have thought that you'd get the opportunity to be in the coaching staff even if it is at the youth level, getting experience," a visibly frustrated Heskey said. English Football League clubs in a bid to get more BAME coaches to apply for positions have agreed to adopt a version of NFL's Rooney rule. The rule states that all the 72 clubs should interview at least one BAME person to fill a coaching vacancy at the club. Heskey, however, is sceptical about the outcome of the initiative. "The Rooney rule is a good initiative but where's the guarantee that you will be appointed?" Heskey believes that a lack of people of colour in coaching and administrative roles to take guidance and inspiration from is putting off black former footballers from pursuing coaching jobs. In English football's four professional leagues comprising of 92 clubs, only two are managed by BAME coaches; Chris Hughton at Brighton and Hove Albion and Keith Curle at Carlisle United. "When I started playing football, I looked at John Barnes, I looked at Ian Wright and said I wanted to be like them. But when you aim to be a manager, you look for a manager (to look up to), there's no manager. Then you look at the executives, there are no executives. You look at the owners, there are no owners. Who do you look up to?" Heskey believes that it is difficult for a new manager to get a job at a Premier League club let alone make a mark in it. More so for British managers. The Premier League currently has nine managers from the home nations with none of them managing the top 6 clubs. "We don't get enough opportunities in what we call our league. Pep Guardiola and Jurgen Klopp were given opportunities in their countries but we don't see that here. Only Eddie Howe and Sean Dyche were given chances. But they were younger and at a smaller club when they were in the lower leagues," Heskey said. So does he think that managers need to drop down the league structure and make a name for themselves? "Yes but for that, you need an owner with a vision. You don't need an owner who pulls the plug on everything because when that happens, you don't have the funds to attract good players and then you have a problem. You can't do much unless you have got a brilliant youth system from which you can just bring in players. If your youth system isn't good enough, you need buying power." Heskey is in India to announce the Legends Match 2018 initiative to promote football in the country. The first leg of the Legends Match will see an exhibition game featuring former England footballers along with coaching clinics in the three cities of Mumbai, Kolkata and Bengaluru. Heskey reveals he in talks with some of his former teammates to come and play in India. 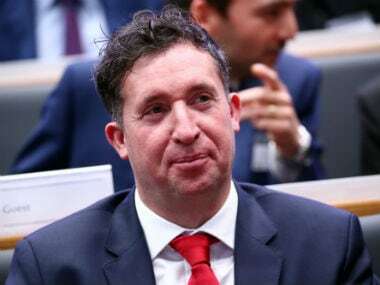 "I am in talks with Steven Gerrard, Frank Lampard, Rio Ferdinand and Robbie Fowler among others to come down to India and play in front of the Indian fans. We are also planning on conducting coaching clinics and start promotional activities in India. "I know football is growing really big in India, it always has been big but playing wise it hasn't been big. So I'm just trying to encourage that. We will be doing an element of coaching here with local teams and local academies. More grassroots because that's where you start and getting people to enjoy sports." This is not Heskey's first sojourn in India. The former Leicester player revealed that he almost signed for Indian Super League side FC Pune City in the league's first season. "I nearly signed for Pune in 2014 after the end of my time at Newcastle Jets in the Australian A-League. I almost signed a contract but then I got the chance of coming back home to England to Bolton so I decided to sign for Neil Lennon's side." Heskey spent four years at Liverpool where he won six trophies including a treble of the FA Cup, League Cup and the UEFA Cup in 2000-01. 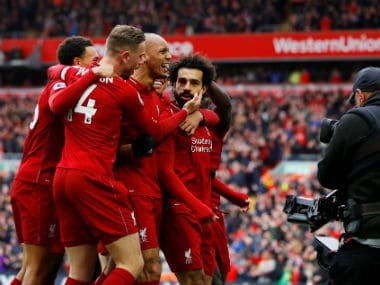 Although Liverpool came close to winning the league in the seasons following his departure, most recently in the 2013-14 season where they came within two points of clinching their first title in 24 years. "It's a strange thing with Liverpool because it is always the same thing. It's a roller coaster ride, isn't it? They will be brilliant some week and the next week they'll be bad defensively and lose. Generally, I don't like picking on the defence but defensively, they don't look great and it's an area they have to address. They need a holding midfielder as well. They are playing Henderson and I don't think they are getting the best out of him. I used to love it when he used to run around in the midfield winning the ball and playing it into dangerous areas. They don't seem to want him doing that anymore. They want him to be a holding midfielder. I honestly don't think he naturally has got that ability," Heskey said. Like fellow England striker Gary Lineker, Heskey was born in Leicester and came up through their youth ranks before establishing himself in the first team and like Lineker, Heskey rates Leicester's fairytale triumph as the best in the Premier League. "It just shouldn't have happened! "I thought they'd slow down during the Christmas period when you're playing after every two days but they were just beating teams for fun. They were riding a wave and they just carried on and carried on and carried on. They were just phenomenal!" Heskey believes that even if Liverpool were to win the league in the future, it would still not rate as high as Leicester's title. "Because Leicester shouldn't have! Liverpool should be!